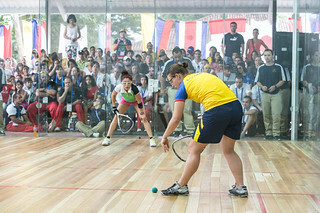 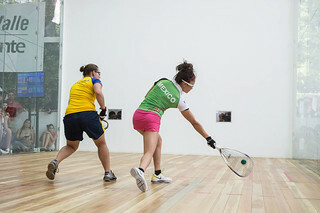 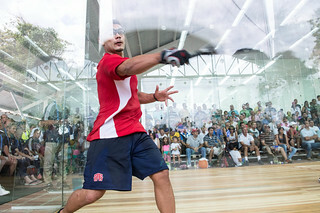 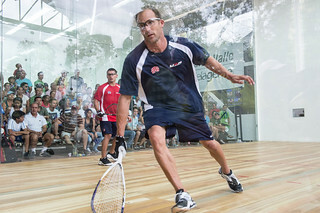 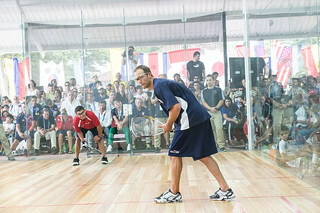 Racquetball is a game played by two, three or four players on an enclosed court of 20 feet by 40 feet by 20 feet high. 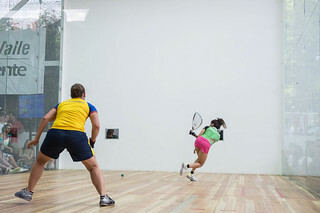 All wall surfaces, including the ceiling, are in play. 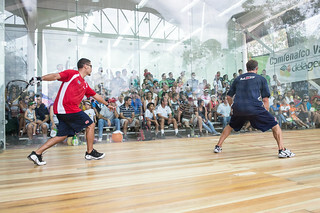 The object of the game is to hit the ball in such a manner that the opponent cannot hit it before it bounces twice. 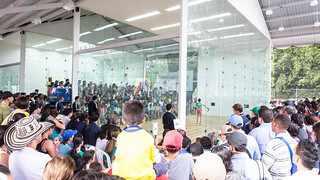 In turn, each player (or team) must hit a bouncy blue or green racquetball to the front wall with a strung racquet, using any number of court surfaces, except the floor, en route. 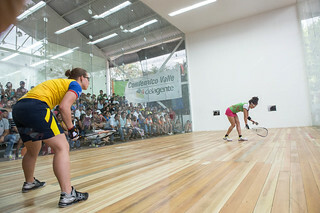 On rebound from the front wall, the other player or team must then retrieve the ball before the second bounce and return it back to the front wall. 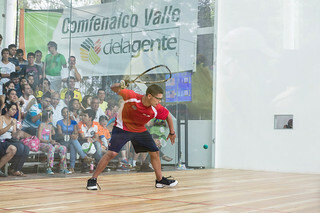 If the ball bounces on the floor twice before being hit with the racquet, or hits the floor enroute to the front wall after being hit with the racquet, the result is a "loss of rally." 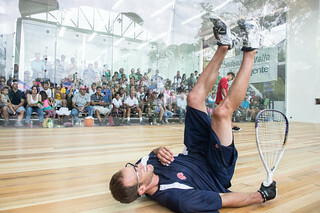 Each rally begins with a serve.